Itchy pimples which appear in a ring form. One dose of 200 potency should be given every weak at least for a month. After one month one dose of 1M should be given every month for six months. Ringworms on any part of the body, especially on face. The rings are elevated and are marked with minute itching vesicles from which exudes a watery, excoriating fluid that smells like fish-brine. Itching worse at night after going to bed. In Tell. a large surface of the body is involved, and multiple rings intersect one another. The usual sites for the eruptions are the face, hands and the region near the genital organs. The skin is generally covered with red spots. 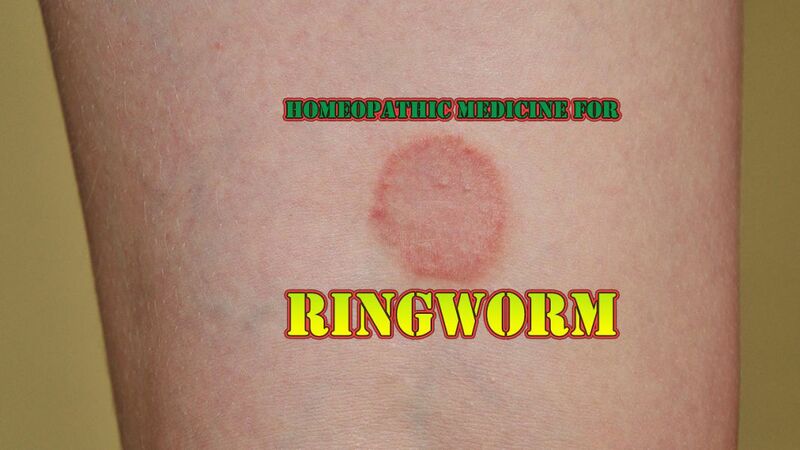 Ringworm isolated and cover a small area. One dose of 1M potency once a month. Ringworm with dry, scaly and unhealthy skin. Scratching makes the parts burn intensely. Ringworm on scalp and behind the ears. Scratching relieves at first, but the parts become very sore.